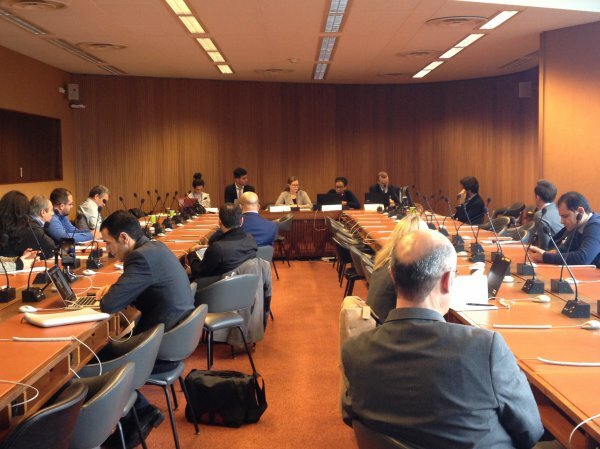 On 1 December 2017, the Unrepresented Nations and Peoples Organization (UNPO) organised a side-event to the 10th session of the Forum on Minority Issues held in Geneva, Switzerland. This conference, entitled “Paving the Way for Inclusivity for Minority Youth”, offered a platform for unrepresented peoples to discuss the detrimental impact that national assimilation policies have on minority youth and bring forward solutions that may bring to a more fruitful future. Youth representatives shared their experiences with being discriminated and delivered their ideas and observations on frameworks and initiatives to promote the inclusivity of minority youth. The event began with opening remarks by UNPO Programme Officer Julie Duval. Underlining UNPO’s continuous support for minorities worldwide and more particularly for their youth, she stressed that the respect for the right to education should be truly enforced in order for these youth to be fully integrated and included in decision-making processes. She also praised the commitment and efficiency of youth organisations in raising the voices of minority youth and claiming the rights to which they are entitled. The first panel, entitled “National Assimilation Policies: A Violation of Minority Youth’s Rights”, touched upon the specific situations of two minorities: the Ahwazis and the Somali from Ogaden. The first speaker was Mr Qusay Doraghi, a representative of the Democratic Solidarity Party of Al-Ahwaz, who gave an account of the violations of human rights the Ahwazi Arabs, and more specifically their youth, suffer from in Iran. He denounced the State’s assimilationist policy, which voluntarily denies the existence of different nations and peoples in the country, instead fostering a “one colour, one flag, one religion, one nation and one language” narrative. “Minorities in Iran are not full citizens and, if they claim their cultural and linguistic rights, they will face persecution”, stressed Mr Doraghi, who concluded his speech by thanking UNPO for accepting to work with the most marginalised. Ogadeni activist and Manchester Metropolitan University student Ms Mariam Ali then took the floor to give a presentation of the dire situation of the Somali youth in the Ogaden region of Ethiopia. She recalled the United Nations treaties that protect minority groups and underlined that “it [is] as if these rights and conventions do not exist in the Ogaden region”. Stressing that the Somali youth does not have the same opportunities as the rest of the youth across Ethiopia, Ms Ali told the audience about the risks to which young Ogadenis are exposed, including childhood mortality, forced displacement and various traumas due to their precarious situations. Entitled “Looking Ahead: which Steps toward Inclusivity for Minority Youth?” the second panel of the conference aimed at bringing forward ideas and potential solutions for more integration of minority youth in the design and implementation of a more fruitful future for their communities. Mr Thomas Radoubé, a representative from Kelc’h An Dael, the Circle of Parliament of Brittany, proposed several solutions to France’s current disregard for minority youth’s rights. Among those, letting Bretons give Breton names to their new-borns and promote their specific culture and language. The last speaker was Ms Iyala Saadi from the Assyrian Universal Alliance, who spoke of the plight of the Assyrians living in Syria and beyond. She brought up several solutions to foster the Assyrian youth’s inclusivity, including the recognition of Assyrians as an indigenous people or the creation of new educational curricula emphasising the principles of citizenship and tolerance. Overall, she stressed the opportunity represented by minority youth to rebuild Syria and improve its functioning, for instance through the creation of free youth media channels in the country. The following questions and answers session was dynamic and included testimonies from Madhesh and Kabylia. The audience also seized this opportunity to ask the panellists about potential recipes to promote the inclusivity of the Ahwazi youth and whether all of them were planning to unite and work together toward a more fruitful future. Mr Doraghi's speech is available by clicking here. Mr Radoubé's speech is available by clicking here. Ms Saadi's speech is available by clicking here.